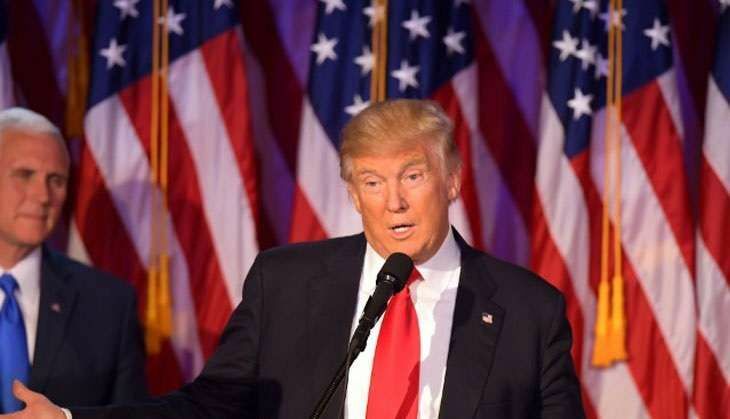 U.S. President-elect Donald Trump's transition team has rejected the validity of a report by the Central Intelligence Agency (CIA) that says Russia tried to help Trump win the U.S. presidency. "These are the same people that said Saddam Hussein had weapons of mass destruction," The Independent quoted the Trump team, as saying in a statement. "The election ended a long time ago in one of the biggest electoral college victories in history. "It's now time to move on and 'Make America Great Again'," the statement added. U.S. intelligence officials found that Russia had provided Wikileaks with countless hacked emails from the Democratic National Committee and others, including Hillary Clinton's campaign chairman John Podesta. Cyber security experts, as well as intelligence officials, had found evidence of the massive leak of thousands of emails of the Clinton's campaign linked to Russia. A senior American intelligence official said that report was to review Russia's aim of favoring one candidate over the other. In September, a secret briefing was held between officials and congressional leaders on the issue but the legitimacy of the assessment was doubted by House Majority Leader Mitch McConnell. An intelligence official said that agency officials had last week informed the U.S. senate in a briefing that it was clear that Russia wanted Trump as the next president. However, some officials from all 17 intelligence agencies do have some disagreement over the lack of evidence showing a direct link between Russia and Wikileaks. Wikileaks founder Julian Assange had claimed in an interview with Australian television that Russia was not the source of the leaks. President's Obama's counterterrorism and homeland security adviser, Lisa Monaco said that a "full review" of election-related hacking has been ordered by the Obama administration and he expects a full report before he leaves office on 20 January. "We may have crossed into a new threshold and it is incumbent upon us to take stock of that, to review, to conduct some after-action, to understand what has happened and to impart some lessons learned," she said. Russia was accused by the U.S. officials from the Department of Homeland Security and the Office of the Director of National Intelligence officially of hacking the DNC and other organisations "to interfere with the U.S. election process".